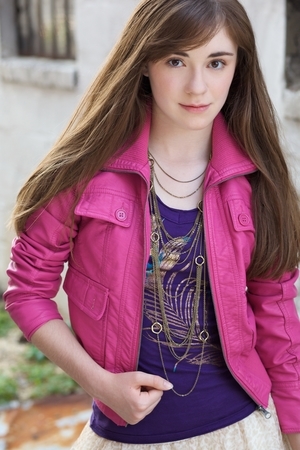 Kristina Lachaga, “The Girl With The Big Pink Heart™,” is an up and coming Pop Singer/Songwriter. She has had a love for music and performing since the age of three, and has extensively trained in voice, as well as in acting and dance. From these experiences, Kristina began writing her own songs and transitioned into Pop music. This rising Pop singer/songwriter has shared the stage with many artists on the scene, including Olivia Holt, Skylar Stecker, Bea Miller, Shawn Hook, Heffron Drive (featuring Kendall Schmidt from Big Time Rush), and stars from Disney and Nickelodeon at concerts and events, including iHeartRadio's Z104.3 & Girls' Life magazine's Shawn Mendes and One Direction Concert Pre-Parties at Power Plant Live!, The Fillmore Charlotte, State Fair Meadowlands, the New York State Fair, Erie County Fair, Girls World Expo, Albany Back To School Expo, Ryan Seacrest Foundation's Seacrest Studios (Atlanta, GA & Charlotte, NC), Schenectady County SummerNight w/ Grammy-Nominated Special Guests Gin Blossoms, and more. Since June 2017, Kristina's covers and original songs have gained over 3 million views across Instagram. Having visited over 150 schools across the country spreading her #FollowYourHeartsDream™ and 'Sticks & Stones Anti-Bullying’ messages, "The Girl With The Big Pink Heart™" uses her voice to help give teens and tweens the confidence to explore their passions, work hard, and be themselves. Since the 2014 holiday season, Kristina has helped make Christmas wishes come true for some very deserving kids, working with the TODAY Show Toy Drive, Ronald McDonald House Charities, United Way, and Angels For Kids Foundation. Kristina, a former Girl Scout, has loved performing at G.I.R.L. 2017 (hosted by Girl Scouts of the USA in Columbus, OH), Girl Scout Cookie Rallies and Expos, as well as presenting a variety of workshops. She made her television performance debut on CBS/WBTV performing her single "R.S.V.P." -- inspired by Simon & Schuster/Aladdin MIX's book series You're Invited -- in Charlotte, NC's 2016 Novant Health Thanksgiving Day Parade. Kristina's original songs are available on Spotify, iTunes, Apple Music, and more. Become a #Heartbreaker & follow @KristinaLachaga on Instagram, Twitter, Facebook, YouTube, Snapchat, & TikTok.